In this special edition of the Shark Task Force, Dr. Guy Harvey interviews Wendy Benchley, the widow of Peter Benchley, author of Jaws. They talk about the impact of the movie 3 decades later, how shark catch and kill tournaments are becoming catch and release tournaments and why healthy oceans need sharks. For more information on the Guy Harvey Ocean Foundation, visit guyharvey.com. 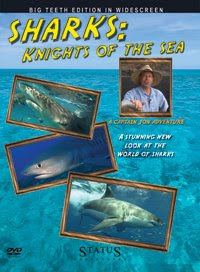 For more on sharks, check out www.sharktaskforce.com. 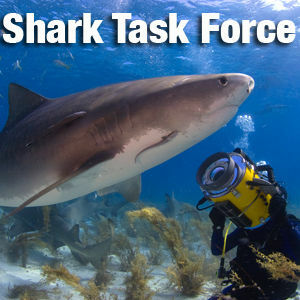 The Shark Task Force, why wait a whole year for just one week on sharks? George C. Schellenger and Jim Abernethy wrap up the showing of This is Your Ocean: Sharks in Washington, D.C.
And I mean, really? Why wait a whole year for just one week on sharks? Sharks Come to Washington, D.C.
Real sharks are heading inside the beltway this Friday, May 20, 2011 for Celebration of the Seas. 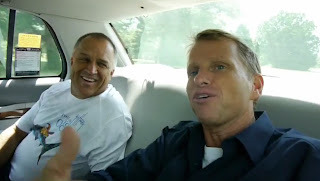 "This is Your Ocean: Sharks" will be featured at the Carnegie Institution for Science at 8pm.